On top of the astonishing news that FOX's X-Men TV show is very close to happening, the show's producer Matt Nix also revealed an all-new bit of news. His new X-Men series will, in fact, take place within the X-Men cinematic universe from 20th Century Fox. When speaking about the new show at TCA, Nix opened up about the relationship between the new show and the series. While Legion - set to air on FX - won't have anything to do with the movies, this new series will. Nix said it would be similar to the way Agents Of SHIELD fits in to the MCU, but not exactly the same. He went on to explain how they will address the current characters that exist within the movies. 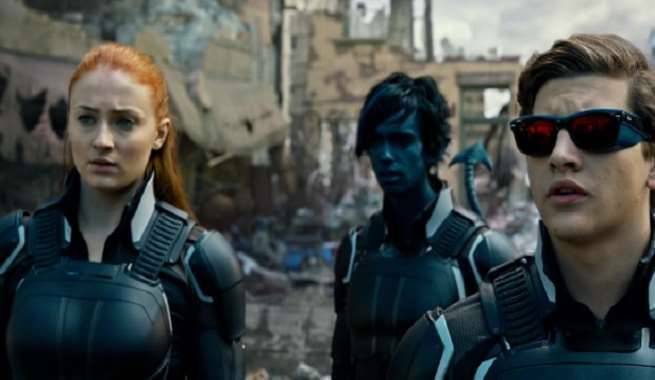 Fox has not announced any specific mutants appearing in the new X-Men series, but it is said to focus on a mutant family that joins an underground mutant resistance when anti-mutant legislation is passed into law. Nix's X-Men drama replaced Hellfire, the proposed series following the Hellfire Club when Fox decided the idea would not work for a television series. Legion, which was announced alongside Hellfire, is set to debut on FX in February. That series follows David Haller (Dan Stevens), a powerful mutant with multiple personalities. Noah Hawley (Fargo) will serve as an Executive Producer along with Lauren Shuler Donner (X-Men: Days of Future Past, Deadpool), Bryan Singer (X-Men: Apocalypse, Superman Returns), Simon Kinberg (X-Men: Days of Future Past, The Martian), Jeph Loeb (Marvel’s Agents of S.H.I.E.L.D., Marvel’s Daredevil, Marvel’s Jessica Jones), Jim Chory (Marvel’s Agents of S.H.I.E.L.D., Marvel’s Daredevil, Marvel’s Jessica Jones) and John Cameron (Fargo, The Big Lebowski). Legion is the latest project from Hawley and Cameron, two of the Executive Producers of the Emmy and Golden Globe -winning FX limited series Fargo.